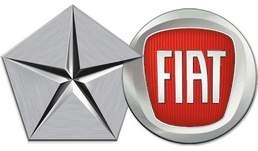 TURIN – In another step marking further integration between Fiat and Chrysler Group, the parts and service operations of both automakers will merge under Chrysler's Mopar brand. The move will save the companies costs and remove any aftersales obstacle to deciding which model or brand to sell in a specific market, the company's CEO, Pietro Gorlier told Automotive News Europe. "The ongoing Fiat-Chrysler integration and platform sharing makes it fundamental to pursue a similar integration from an aftersales point of view and Mopar is the ideal brand to become the global umbrella for our parts and services," Gorlier said. The globalization of the Mopar brand under the two automakers begins on Wednesday with the unveiling of a new packaging design at Mopar's engineering lab in Center Line, Michigan, to coincide with 75th anniversary of the brand. The packaging design incorporates the Mopar logo together with the 10 brand logos of the two automakers: Abarth, Alfa Romeo, Chrysler, Dodge, Fiat, Fiat Professional (light commercial vehicles), Jeep, Lancia, SRT and RAM. In a move to cater to the global reach of Fiat-Chrysler, the "genuine parts" description is now translated into 28 languages, including Arabic, Chinese, Russian and Turkish. "Essentially, we need to support a flawless movement of parts between the regions, without additional cost and inefficiencies for re-coding or re-packaging," Gorlier said. The global package would remove any aftersales obstacle to choosing which model or brand to sell in a specific market, he added. Specific packaging will be maintained only for Abarth transformation kits, SRT performance parts, as well as for Alfa Romeo engine parts. Distribution of the new packaging will begin in the second half of the year. Gorlier estimates it will take a couple of years to fully apply the packaging to the more than 500,000 parts and accessories which will be part of Mopar's new global catalog. For efficiency reasons, existing material will not be repackaged and this will extend the transition period, he added. Collectively Fiat and Chrysler have a global vehicle car park of approximately 70 million units in more than 120 countries, serviced by 50 parts distribution centers which manage 350,000 order lines daily. Fiat-Chrysler also plan to converge their service diagnostic platforms and again, the two companies will switch to Chrysler's system. "Chrysler was already in a more advanced phase in its service diagnostic platform evolution and thus its Wi-tech Diagnostic System will become the alliance tool," Gorlier said. The first vehicles to be sold in Europe that comply with the new diagnostic system are the Chrysler-sourced Fiat Freemont, the Lancia Thema and the Chrysler Voyager. The Fiat Panda is the first European-built vehicle to be recognized by the new diagnostic system. Fiat raised its stake in Chrysler Group by 5 percent to 58.5 percent earlier this month.